The Raw material used in the making of this statue is resin. The hand carving done to the statue is extremely minute and attractive. Unparalleled quality is given by the craftsman as compared to the price quoted. 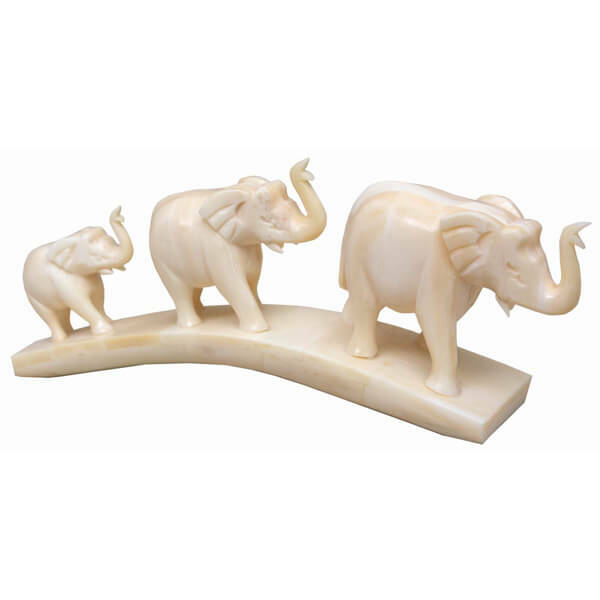 This is a camel bone statue with three elephants of different sizes carved on a long piece. 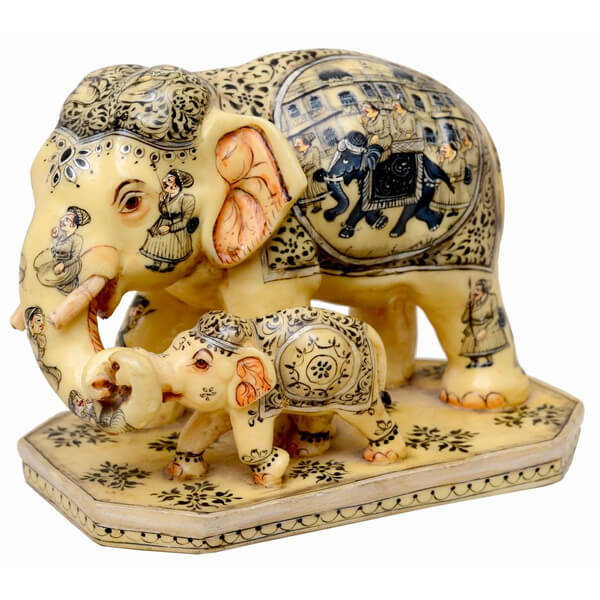 Different poses of elephant can be seen on this piece. This piece can be decorated anywhere in your office or in the showcase of your home. This statue is a combination set of two elephants one big and one small. On the bigger elephant fine painting has been done. We can see elephants and musicians over the bigger elephant. Box packing with bubble wrap is done, to avoid breakage during shipping. 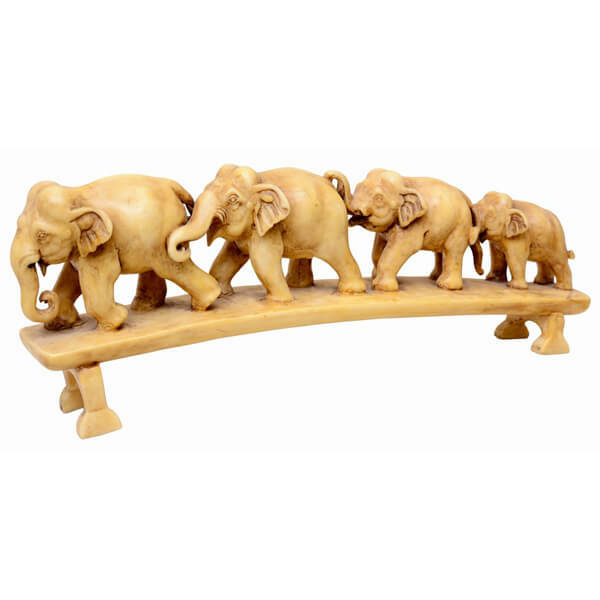 This showpiece of four elephants in a row is made from camel bone with an ivory finish. In this piece we can see all the elephants have raised their trunks over their heads that looks majestic. 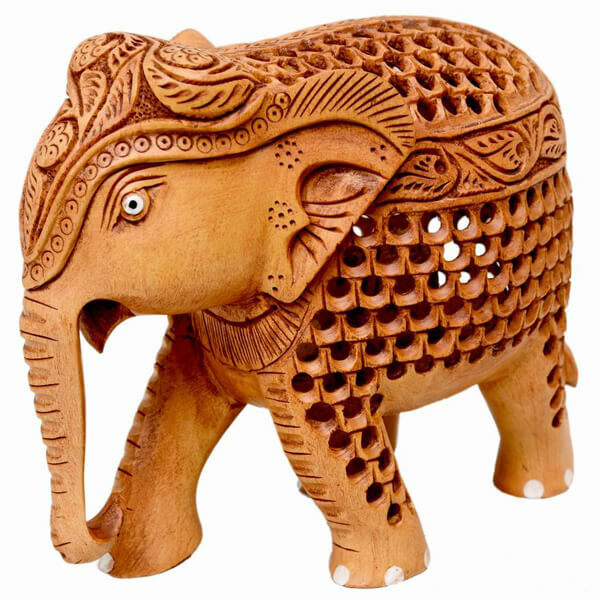 This handcrafted statue of an elephant is so beautifully carved that the craftsmen has carved multiple small elephants over a big elephant. The work done by the craftsmen is unmatched as per the price of the statue. 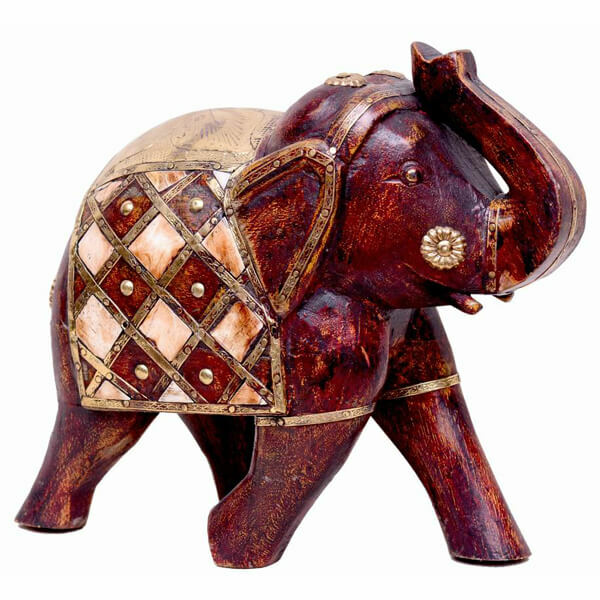 This is an elephant bridge, statue made using a resin that gives a wooden appeal. In this statue we can see four elephants queued up one after the other in different poses. The wooden appearance of the blends it with any kinds of interiors modern or traditional. 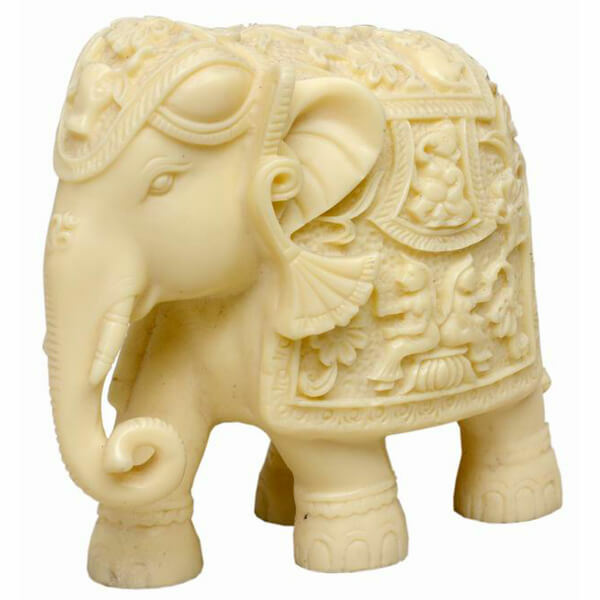 This is a marble statue of an elephant who symbolizes valor, strength, power and dignity. Height of this statue 5.5 inches. 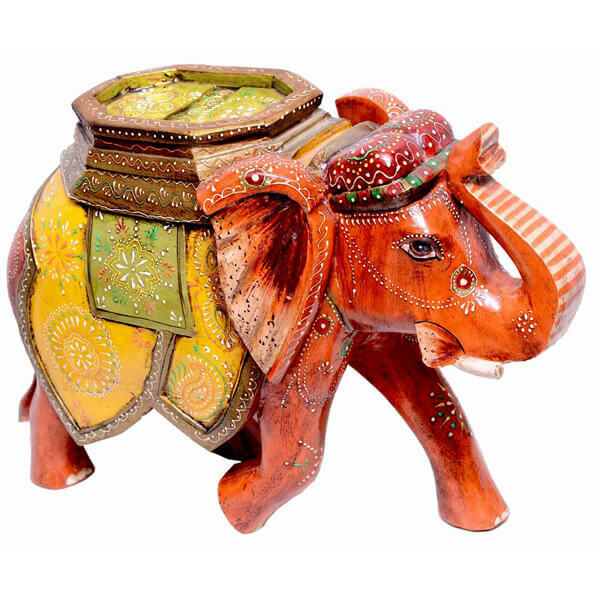 Beautiful kundan and meena work is done all over the elephant. 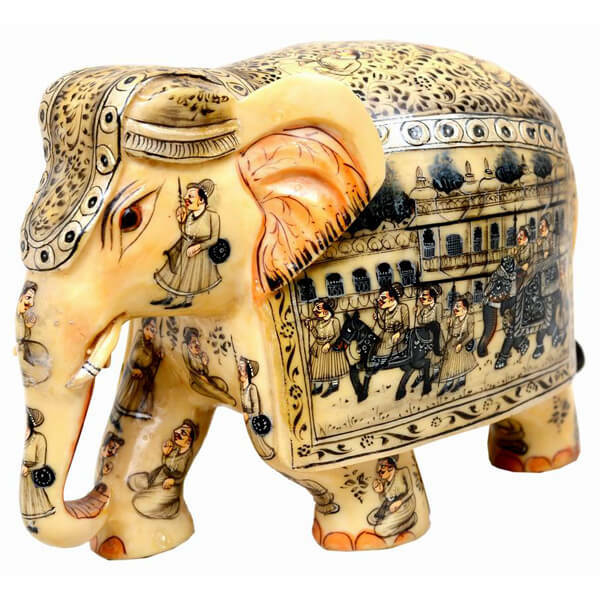 This statue of an elephant is made from a polymer block called resin. This is a very attractive piece with black fine miniature painting done all over it. Various creatures can be seen. 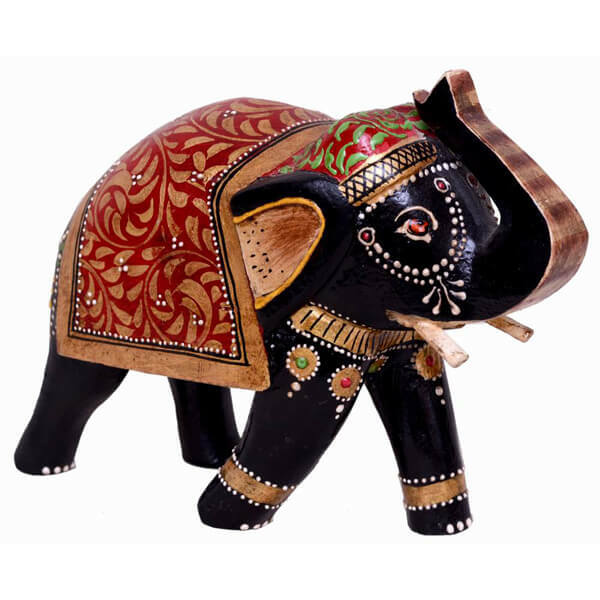 Craftsmen have done a very artistic work that is very eye catching. 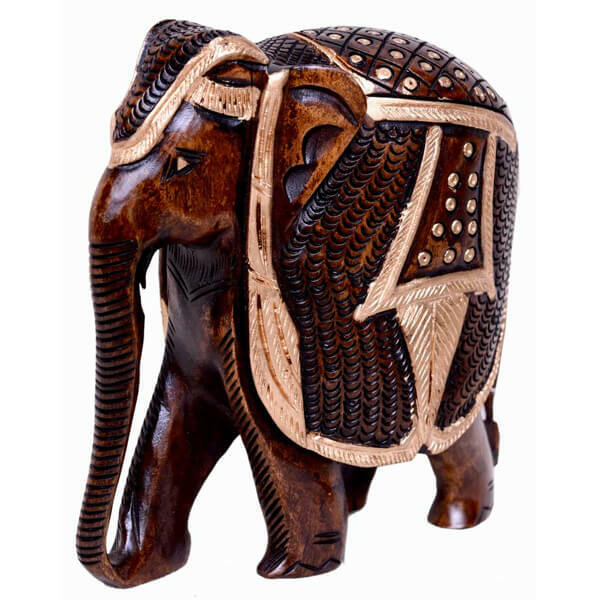 This elephant statue is hand carved from a block of resin. After intricate carving it has been further painted with miniature painting. Finally the piece is coated with a fine layer Lac queer. It is such a beautiful piece that you can resist buying. 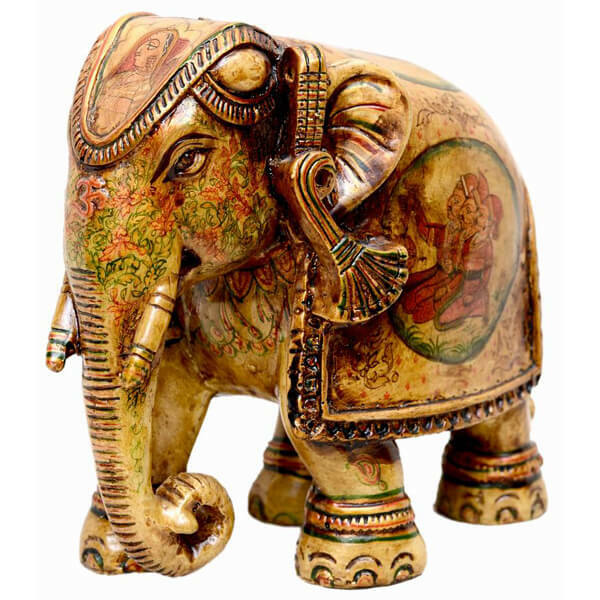 This tempting design of elephant statue is to fulfill the requirements of client for designer statue. 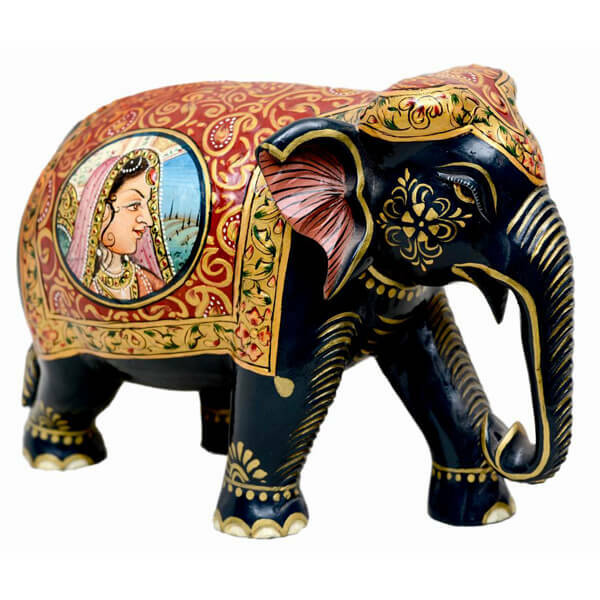 The eye catching colors and huge size of this statue has made it popular among users. 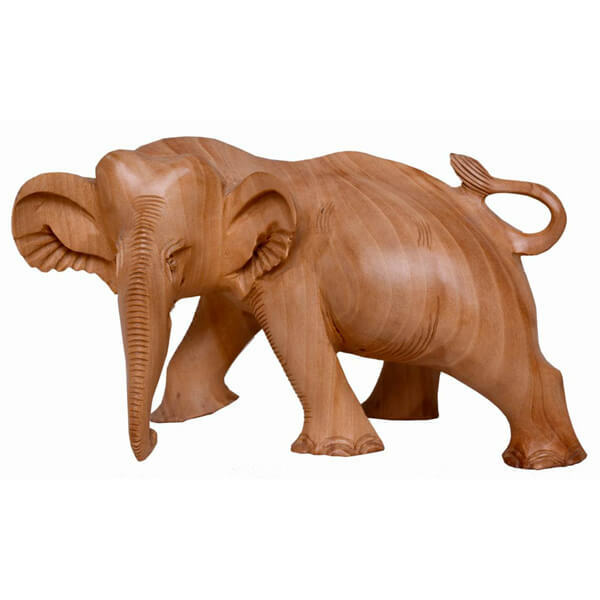 The elephant statues are designed by professionals who have full knowledge of latest designs and are made accordingly. 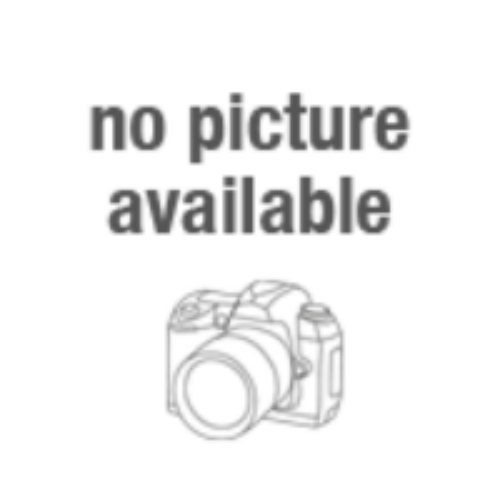 The design is perfectly finished and smoothly polished by skilled manufacturers. 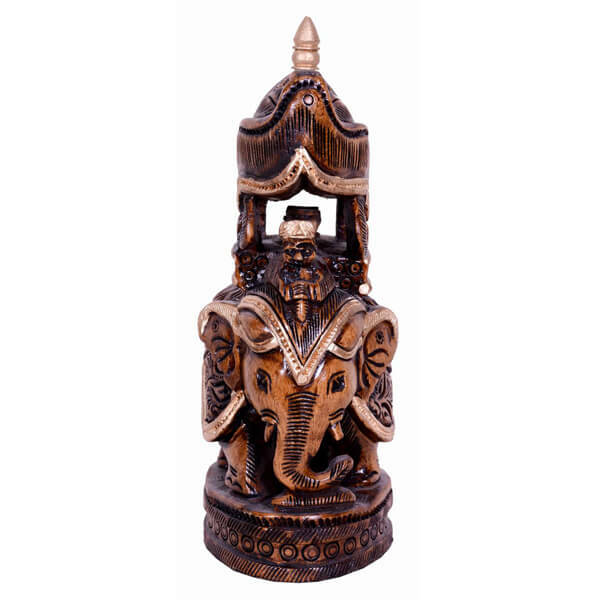 This statue is made from white wood which is a durable material. 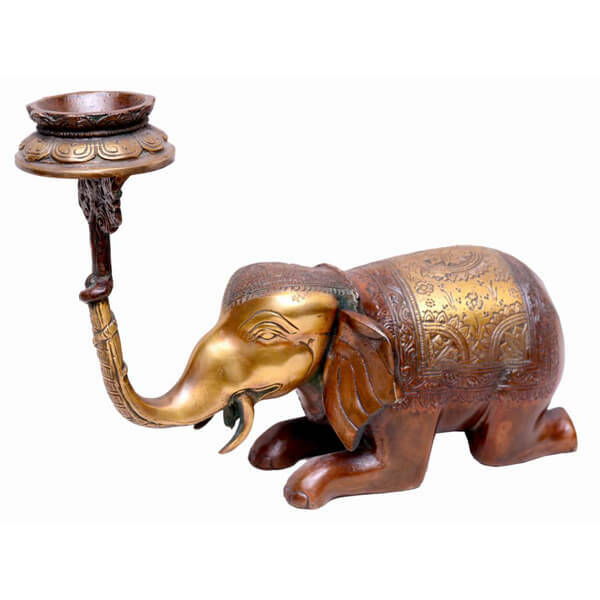 This is a metallic structure of elephant with golden polish and has a candle stand attached to the trunk of the elephant. 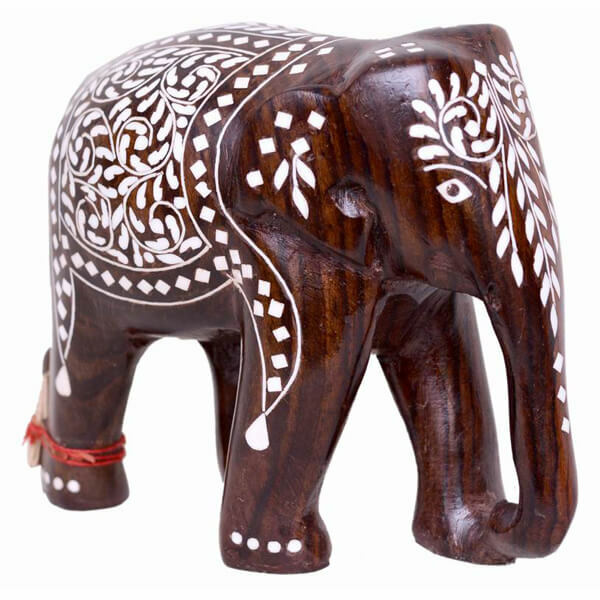 The stand can be used to hold a candle or a diya. It is a perfect item to give it to your loved ones this Diwali.. 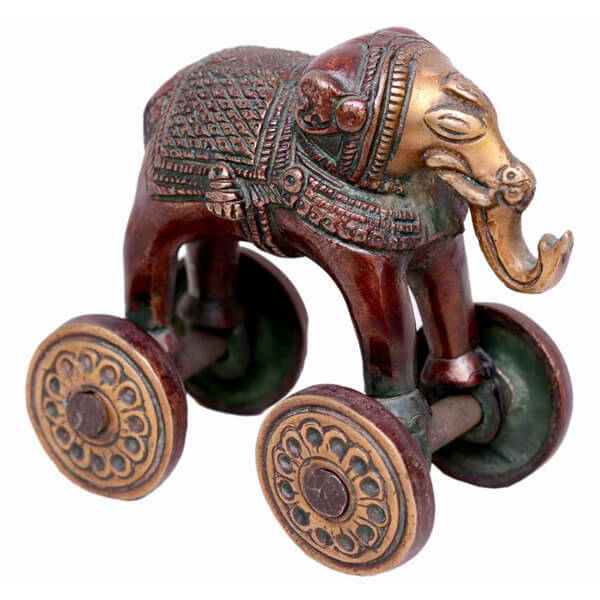 This is a statue of an elephant over the wheels. It can be used as a showpiece. teak wood fine jali .. 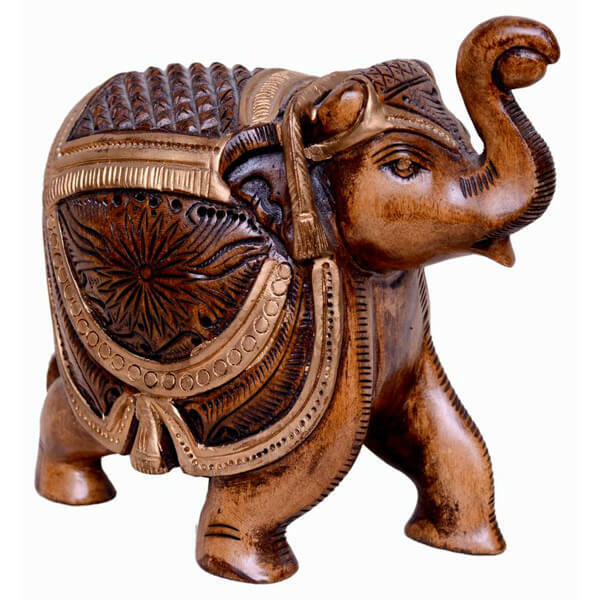 This is a handcarved jali elephant made from premium quality wood. Each and every hole is precisely carved by the artisan. 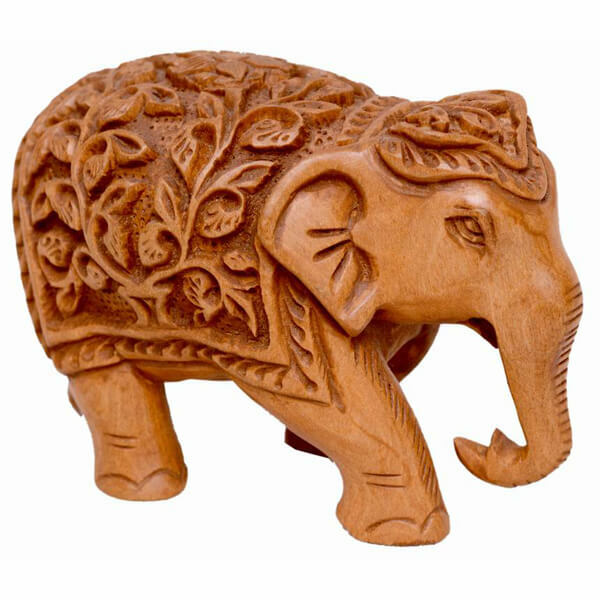 This is an artistic piece, hand carved from best quality teak wood that makes it highly durable and long lasting. 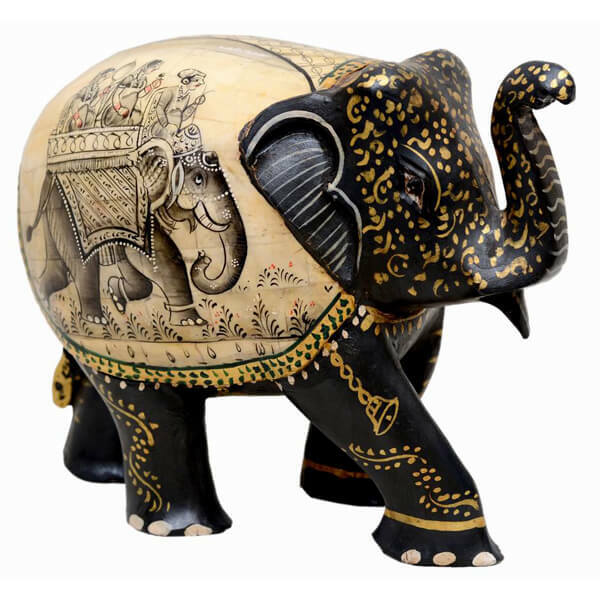 The base of the elephant is painted in black color, while the top is painted in red, with a traditional woman painted over the sides. This piece of elephant statue has a very unique design painted over it. The design is so eye catching that it attracts every viewer. 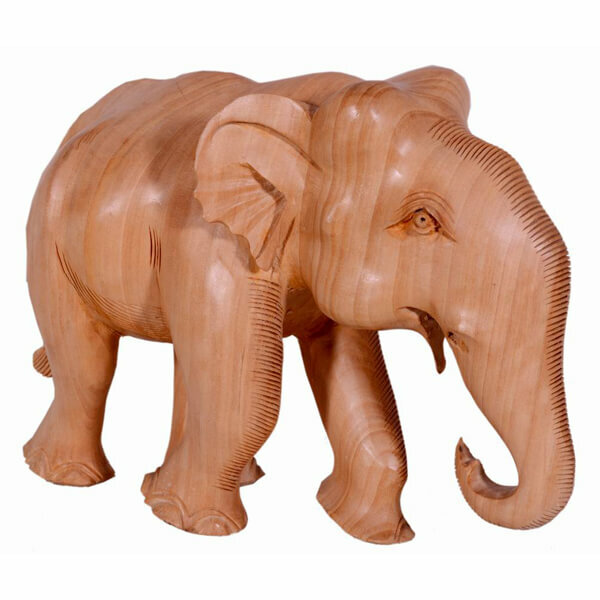 This teak wooden elephant looks very attractive and eye-catching and is available at a very nominal price.